These theories are elegantly conceived, but a critical question has been left less explored: is Marx and Engels’s first contradiction unrelated to ecology and the climate crisis? I say no. What I want to argue here is that climate change is just another expression of what Marx and Engels identified as the core contradiction of capitalism: namely a contradiction between the social basis of production with the private system of property and wealth appropriation. As I will argue below, understanding this contradiction as “ecological” depends on an expansive understanding of what they mean by “social.” This argument means the political theories and strategies that flow from this contradiction still apply to the ecological crisis: namely the centrality of class struggle. This suggests we need not only “revise” Marxism to add ecological dimensions, but think ecologically about its core theoretical insights. Marx and Engels saw the peasant and artisanal forms of production characteristic of pre-capitalist history as scattered into various forms of isolated private or small-scale communal labor. Capitalism develops more social forms of production based on increasingly complex divisions of labor and knowledge systems, yet it maintains a private form of appropriation where money and profit (and wages for that matter) can only flow to privatized market subjects. As more communities are violently torn from their own means of production (namely the land), these deeply interconnected social labor systems increasingly provision all of society’s needs. Today, our “socialized” production system has even more deeply enveloped the planet – from global supply chains to automated financial flows of money and information. For Marx and Engels, capitalism socializes production to the point where it only makes sense to socialize its control and distribution. As Marx argues in Capital the socialization of production under capitalism only points to, “the further socialization of labour and the further transformation of the soil and other means of production into socially exploited and therefore communal means of production….” This is socialism (and ecologically minded thinkers will note he mentions the soil as ripe for communal control). Yet, this socialization of the production process also made it reliant upon machinery powered by fossil fuel – making it also a hugely ecologically consequential mode of production. Thus, machine-based production is not only “social” because of its appropriation of the “social brain” of science. – the deeply social forms of knowledge that underlie production. As we now know, machine-based production – from the early steam-powered factory to the modern data servers powered by coal-fired electricity – has social effects from the pollution it generates (and of course its manifold effects on all life). 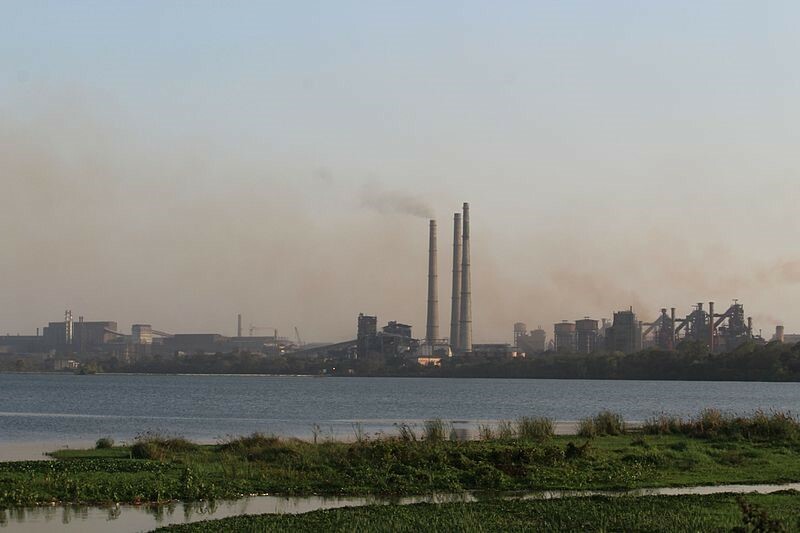 A coal-based steel plant outside Pittsburgh, or in Hebei province in China, effects the air quality of local residents (those who breath in the dirty air are in social relation to the steel plant), but, more significantly, effects the climate through the increase of carbon dioxide in the atmosphere. Neoliberalism has in many ways been a long 50 year period in which much of the left was convinced class and socialist politics is outmoded and a new left would be built through a kind of “movement of movements” of divergent social movements (see recent article by ecosocialist Michael Löwy which basically rehearses this talking point). Yet class struggle didn’t fade away. As Warren Buffet so famously put it, “There’s class warfare, all right… but it’s my class, the rich class, that’s making war, and we’re winning.” Rather than revising and “greening Marxism,” building an ecological politics that can win might benefit as much from revisiting the classical principles of Marx and Engels’s historical materialism. Climate change is only the last instance of the overwhelming evidence that capital’s socialized form of production stands in contradiction to its privatized forms of appropriation. This contradiction points to one solution: expropriate the expropriators.